Are you looking for cute and organized word wall cards? These cards are organized in chunks of 14, starting at pre-primer words and going through all of the 4th grade dolch words. There are 450+ word wall cards. Each card has a list number at the top (lists 1-34) to help keep you organized year after year. 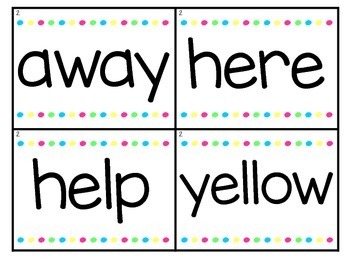 These cards work perfectly with my, "Master your Sight Words Assessment and Incentives Pack." 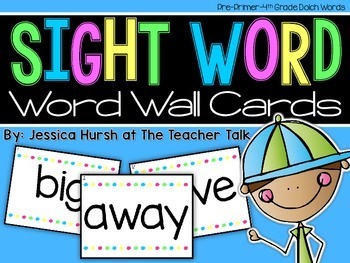 Peek at the preview to see the word wall cards! 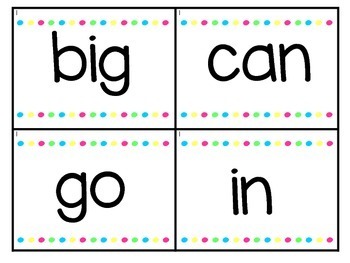 Also, check out the Master My Sight Words Assessments and Incentives Product!